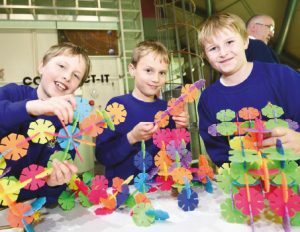 Over 400 Juniors descended on the Glasgow Science Centre in November in celebration of the Junior Section’s 100th year. The Junior Section members came from 36 different Companies from across Scotland to experience the hundreds of interactive exhibitions including the Bodyworks Exhibition, the Powering the Future Exhibit, a live science show, and the state-of-the-art planetarium. The sleepovers have been taking place annually since 2013, and have attracted almost 2000 members, demonstrating the BB’s move to encourage more STEM activities as part of its varied educational and fun programmes. 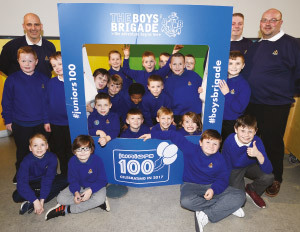 Brian Laurie, Leader with 28th Stirling, said “The Science Centre Sleepover is the perfect example of how The Boys Brigade brings today’s youth together in a fun and interactive way that will leave a lasting memory. Following the live shows and demonstrations, the Juniors enjoyed story time with hot chocolate around a virtual campfire.